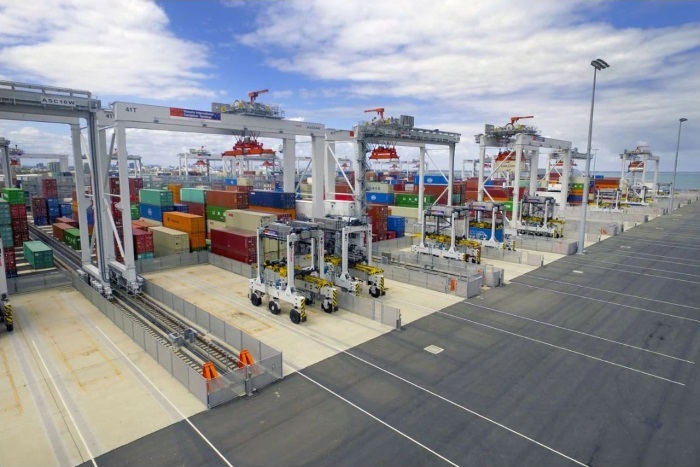 One of the world's most advanced container terminals, Victoria International Container Terminal (VICT) in Melbourne, Australia sets the standard for modern automated terminal design. Every single aspect of operations at this pioneering terminal relies on the OneTerminal integrated automation system. “We felt that Kalmar and Navis together offered the most mature solution in the automation space, and this was important for us because we had a very narrow time window to deliver an operational terminal,” says Anders Dømmestrup, CEO, VICT. Hugely complex projects like this can often be plagued by delays, integration problems and other bottlenecks, but this was most certainly not the case with VICT. In fact, despite the demanding schedule and the complexity of the project, the deployment of the automation solution was completed ahead of schedule. This allowed VICT to claim the prestigious title of the world’s first fully automated international container handling facility. VICT is Melbourne’s newest container terminal, located north of Port Phillip Bay at the mouth of the Yarra River, at the Port of Melbourne’s Webb Dock East. The 35-hectare terminal, which is owned by a Filipino company, International Container Terminal Services, Inc. (ICTSI), has an annual capacity of over a million TEU and a straight berth of 660 meters that can accommodate two vessels along side. 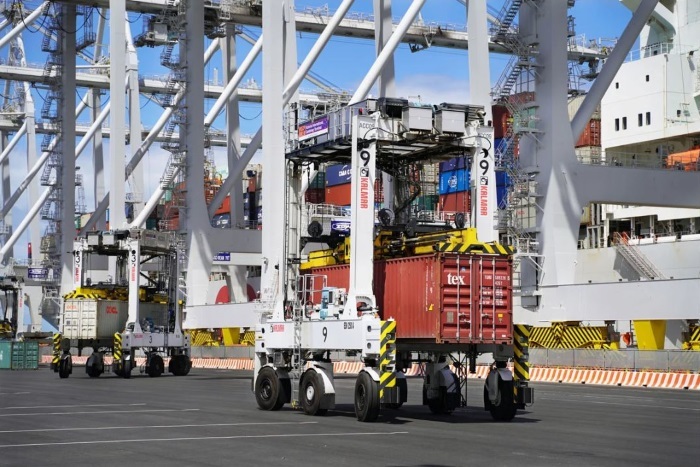 The OneTerminal deployment at VICT includes a Kalmar Automatic Stacking Crane (ASC) system comprising 20 ASCs, 11 Kalmar AutoShuttles™, Kalmar Automated Truck Handling, the Kalmar Terminal Logistics System (TLS) and the Navis N4 Terminal Operating System (TOS). Kalmar also provided a range of project services to deploy and support the solution. “Essentially, the OneTerminal solution provides a single ‘pane of glass', a single interface at VICT,” explains Jon Wheeler, IT Manager, VICT. “The benefit of using one vendor is that we have one interface for collaboration, optimisation and managed services,” he continues. The OneTerminal solution deployed at VICT is a complete end-to-end automation system that combines Kalmar automated equipment and a pre-integrated and tested software solution, comprising the Kalmar TLS and Navis N4 TOS. The pre-integration and testing was a significant factor in being able to deploy the solution ahead of schedule. With OneTerminal, customers benefit from an integrated automation solution, delivered by one team that brings together software systems, equipment and services for seamless deployment. The OneTerminal solution also mitigates risk for the customer and speeds up time to deployment by giving terminal operators complete project control as well as streamlining decision making and problem resolution. “As we enter our third year of operations, the OneTerminal solution has proven to be the right choice. We are way ahead of where we expected to be in terms of automation efficiency, and we have a clear common goal that is leading to continuous improvements and enhancements,” points out Dømmestrup. “The introduction of automation at VICT has allowed us to create an extremely safe working environment. And as people become more familiar with the automation, it presents an opportunity to use completely different skill sets within our operations and diversify our workforce even further,” he concludes. With OneTerminal, VICT has put in place the best possible foundation to go from strength to strength. With a host of improvements and new developments on the horizon thanks to the close collaboration with Kalmar and Navis, this automation story is really only just beginning.